I discovered Gian Butturini's photographs when visiting the 'Strange and Familiar' photography exhibition at the Manchester Art Gallery. The exhibition was curated by Martin Parr, choosing selections from 23 international photographers who had visited Britain between the 1930s and the 2000s, to convey how they captured the social, cultural, and political identity of the UK. Gian Butturini is an Italian photographer who initially began his career as a graphic designer in Milan. 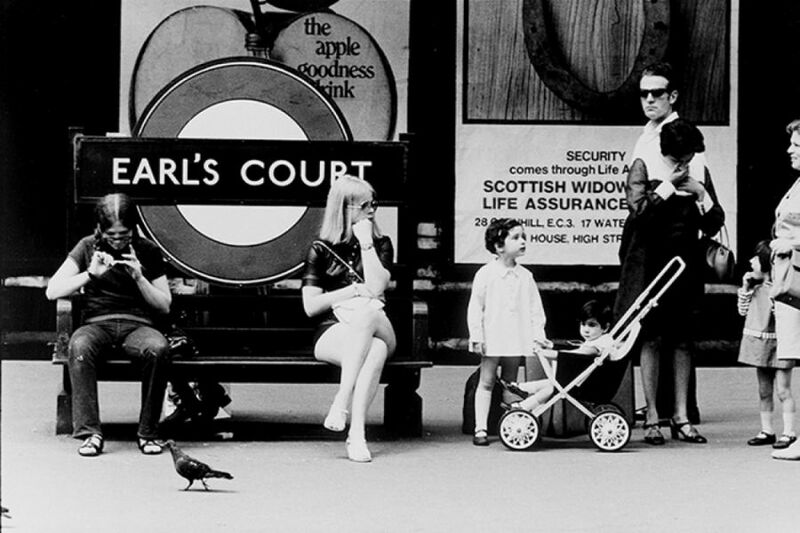 He published his first photography book, 'London', in 1970, depicting urban life in UK's capital during the 60s. I like how Gian Butturini's subject matter varies quite drastically, with some of his photographs focusing on the hostile, high energy environment of a protest, while others capture a more relaxed atmosphere of every-day, ordinary street life. I will try to incorporate this variation within my own photographs to demonstrate the dynamic and fast-paced nature of city life, with every day bringing new people and new events. I like the composition of this photograph in that all the people are around the centre of the photograph. This gives the effect of having no focal point in the photograph, demonstrating the plethora of people of all ages and races, as well as the different personalities, that appear on the streets. 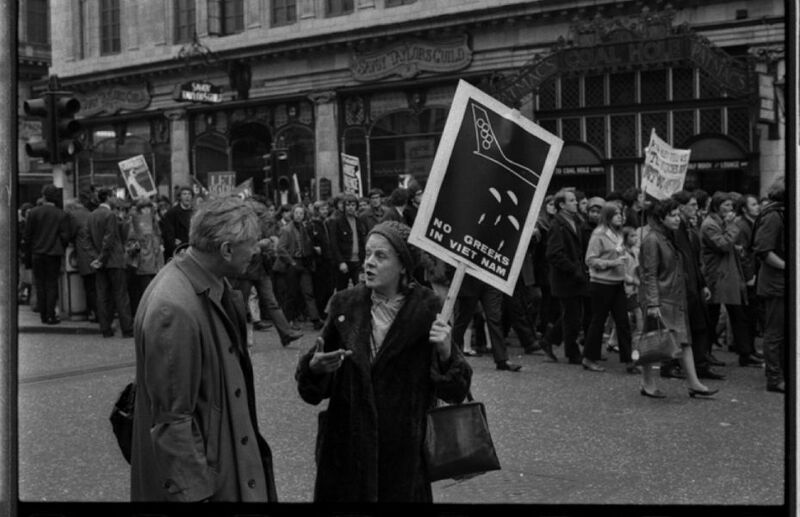 In this photograph there is a clear focal point: the woman and the man conversing during a protest. The angle Butturini uses separates them from the crowd, creating an individualistic perspective. I like how Butturini has captured a relaxed moment amongst a high-energy, hostile environment. For this photograph, I feel as though colour, particularly in the background, would detract from the actions conveyed and the main focal point of the people, so the use of a black and white filter is a good stylistic choice. 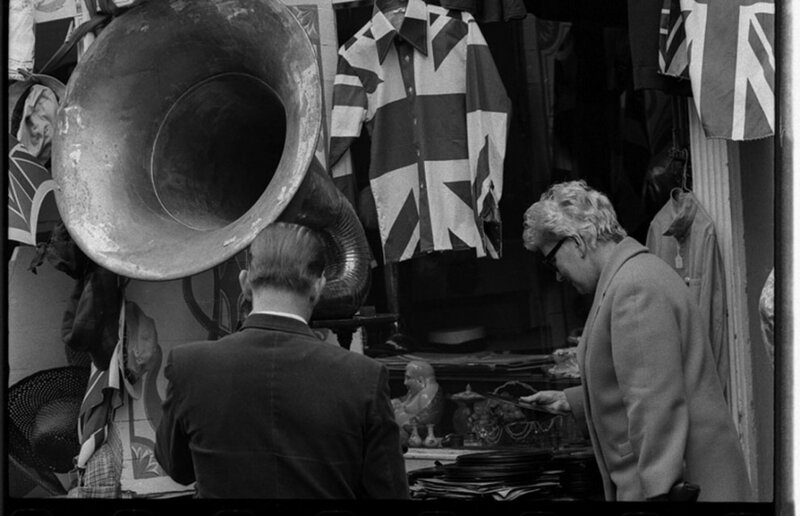 The variety of objects such as the trombone, Union Jack shirts and hats in the scene make the photograph very visually interesting.